Key West might be the end of the road — but it isn’t the end of the Florida Keys. If you happen to own a boat, you can hopscotch across these mangrove and palm-covered tropical islands and head further west into the depths of the Gulf of Mexico. 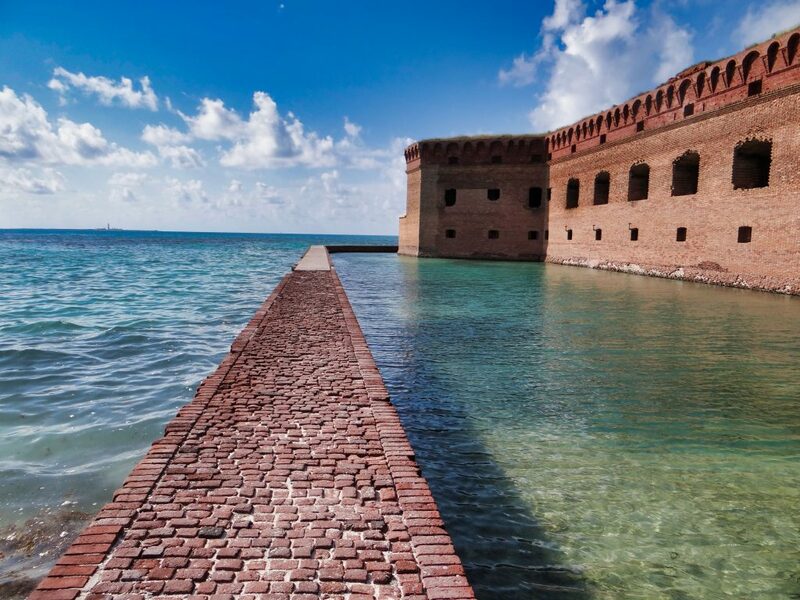 Eventually you’ll come to the Dry Tortugas, home of the largest brick structure in the Western Hemisphere and one of the country’s least visited national parks. But forget taking a slow tourist boat. 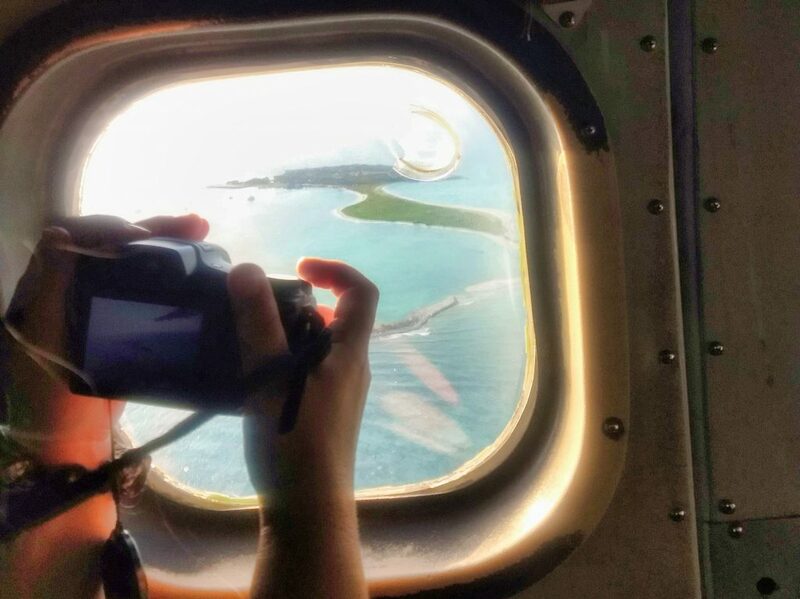 There’s no better way to explore this remote island paradise than with an exciting seaplane ride! Since I was a kid I’ve always loved airplanes…ah, the romance of air travel. I’m happy to say that even with three million commercial air miles in coach, countless flight cancelations, and way too many TSA crotch gropings, it hasn’t completely extinguished what excited me as a kid. I mean, there is zero romance in seat 13-D on an American Eagle Regional Jet headed to Shreveport, Louisiana (which happens to be where I am writing this right now). But a seaplane taxiing into an exotic Caribbean harbor? Now THAT is cool! …or an old episode of Fantasy Island. …images of remote tropical islands dancing in my head. I’ve always told myself that someday I was going to take a seaplane ride. But not one of those tourist joy rides I’ve seen advertised on every beach vacation—you know, where some burned out sky jockey flies you around, let’s you take a few pictures, then splashes you back home 30 minutes later for some ungodly amount of cash. Air travel is about going from Point A to Point B. But I want to GO somewhere on a seaplane – somewhere so remote and tropical, a seaplane is the only practical way to get there. In other words, I want the seaplane excursion of my fantasies to have purpose. 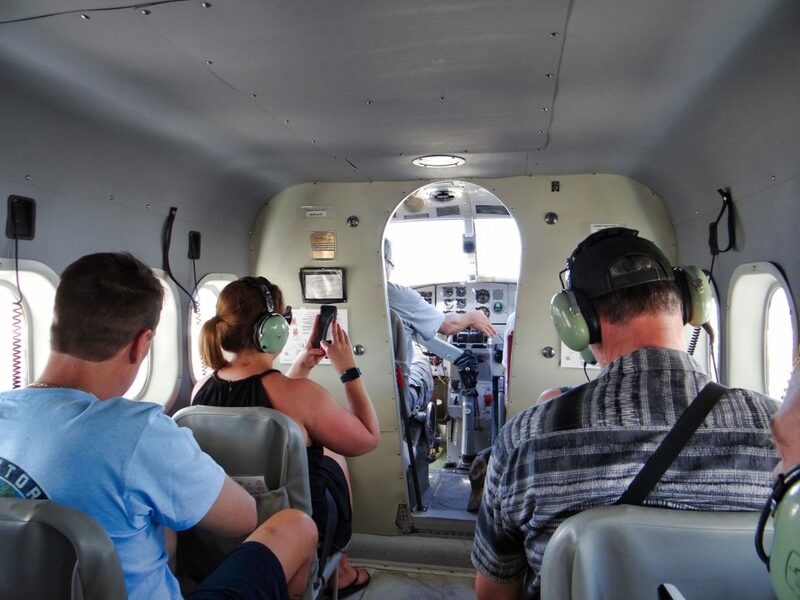 A purpose-driven seaplane ride to some place fun and remote! 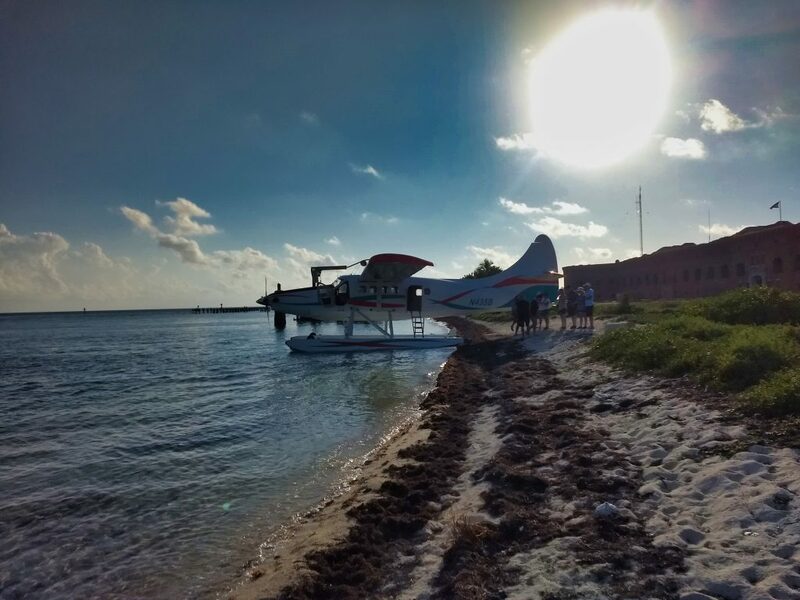 Thus an excursion to Dry Tortugas National Park was the perfect excuse to fulfill this lifelong purpose-driven seaplane fantasy. The Dry Tortugas are a couple of tropical islands out in the middle of the Gulf of Mexico, a once strategic location for controlling the trade routes between Cuba and the American Gulf Coast. The Spanish explorers named them “Dry” because there were no natural springs on the islands. You had to bring your own fresh water. 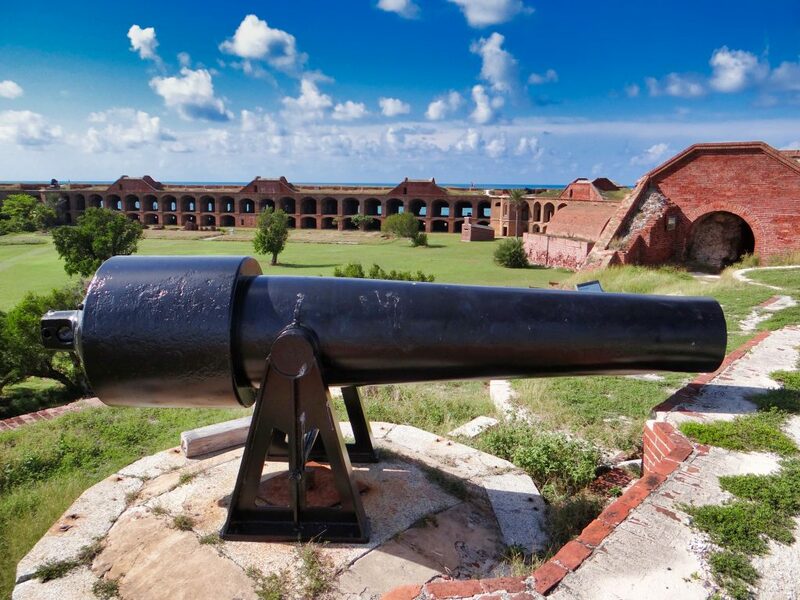 One main island is dominated by Fort Jefferson, a mammoth structure made up of 16 million bricks that once served as a sunbaked Yankee prison for Confederate prisoners of war. It’s connected by a narrow land bridge to another island that serves as a bird sanctuary. Fun for all ages, you can freely roam the fort, scamper up the stairs, pose with Civil War cannons, and explore 200-year-old hidden passageways. Walk the seawall over turquoise waters, snorkel through the rusty pilings, or just lounge on the beach and soak up the tropical sun. For a few hours, you’re basically stranded on your own tropical island. Kinda like Gilligan’s Island or Cast Away – but without the stress of how you’re gonna get back home. But as much as I enjoyed my few hours in the Dry Tortugas, it was the getting there that was more than half the fun. 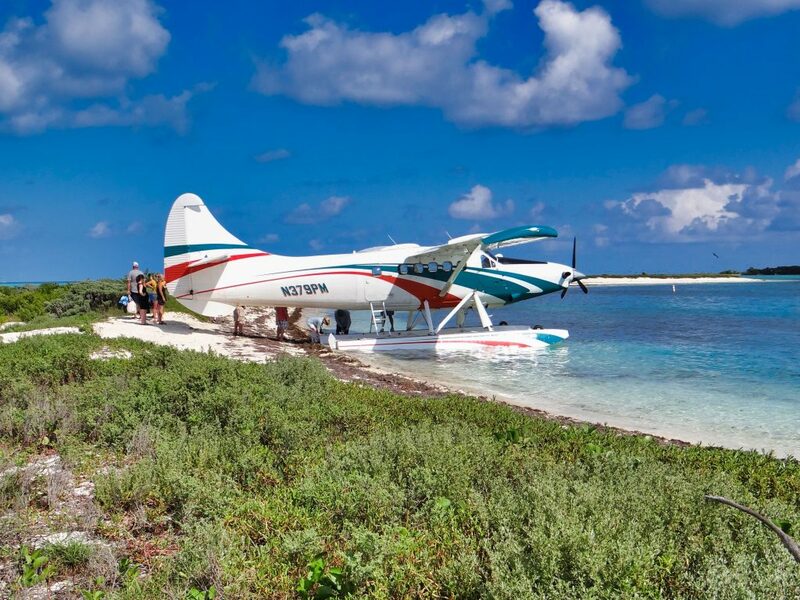 For most tourists, there are only two ways to get to Dry Tortugas National Park—the Yankee Freedom boat which boards at the dock daily in Key West at 7:30am and returns ten hours later at 5:30pm —or one of Key West Seaplane Adventure’s two seaplanes. There is no question that the seaplane at $350 per person is more expensive than the $180 boat. There is also no question that it’s totally worth it if you can afford the splurge. Of course the most obvious advantage is that planes are faster than boats. Taking the boat means burning one entire precious day of vacation and waking up WAAAY too early — which can be hard to do in Key West, depending on what you did the night before on Duval Street. 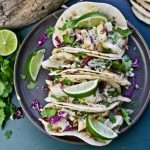 Taking the plane means you can spend the morning on the beach or sleep in (I’m not judging), then spend the second part of the day at Dry Tortugas – and still get back to Key West in time for happy hour. You check in at the Key West airport, watch a short video, then meet your shorts and flip-flops wearing pilot. You also get your own cooler full of water, soft drinks, ice, and a bag of whatever snorkel gear you want. You can even bring your own beer! Now that was a national park loophole I happily exploited. Right on time, you walk onto the tarmac and board your 1950s era de Havilland Otter, a rugged old beauty that’s served island hoppers and Alaska bush pilots alike for generations. No TSA crotch-gropings required, I’m happy to report. Each of the 10 passengers gets a headset that both muffles the sound of the 1,000 horsepower engine and provides a narration of the sights to a classic rock soundtrack that perfectly compliments the view out your window. Occasionally the pilot will cut in to point out other sights along the way. 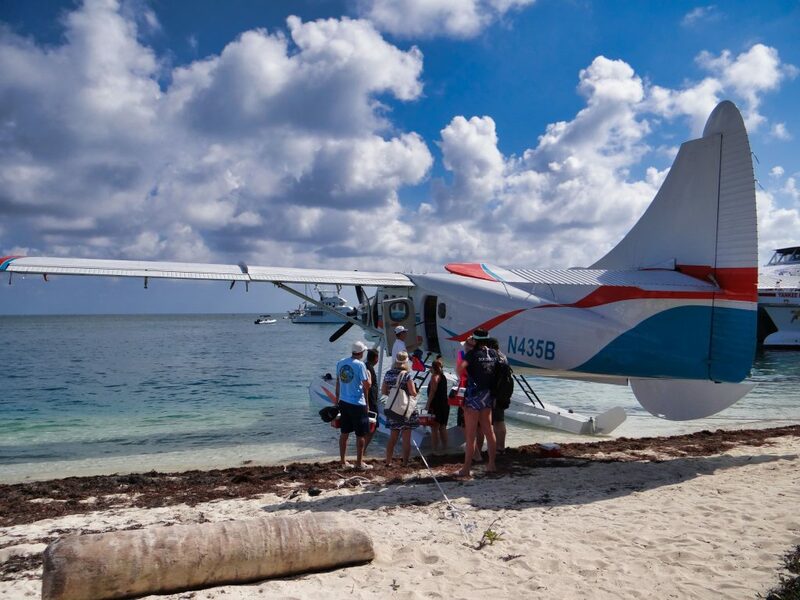 The Otter flies low and slow, giving every passenger a great view of Key West, famous shipwrecks, private islands, and of course the ever-changing hues of blue, green, and turquoise Gulf waters. If you have a sharp eye you’ll see sharks, sea turtles and stingrays swimming below. Your seaplane is now a boat as the pilot taxies up to the beach. That is when I realized the REAL advantage of going all Fantasy Island on a seaplane. 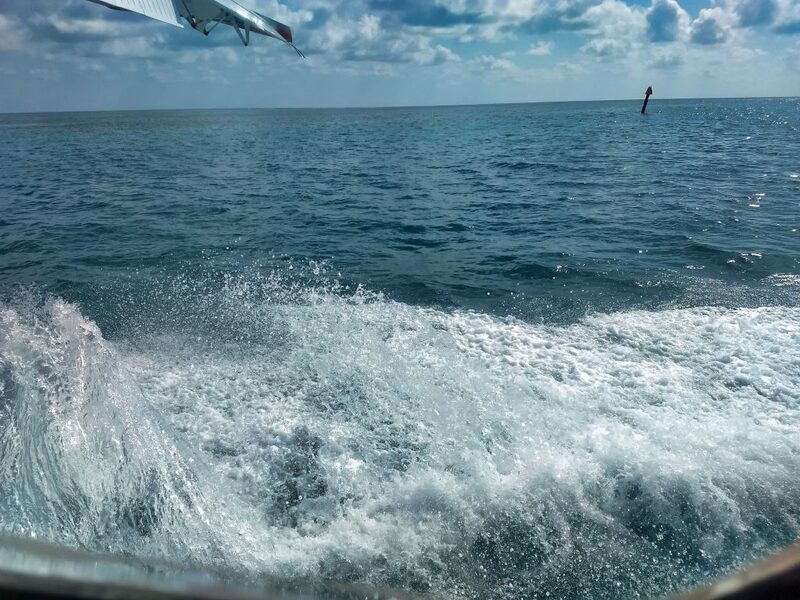 When we splashed down at 2:45pm, the boat docked next to us was full of tourists snapping pictures and had just lifted anchor for its 2.5 hour voyage back to Key West. Once the Yankee Freedom and its 200 envious passengers sailed off into the horizon, we had the whole island to ourselves, accompanied by only a few campers and a lot of sundrenched lizards. 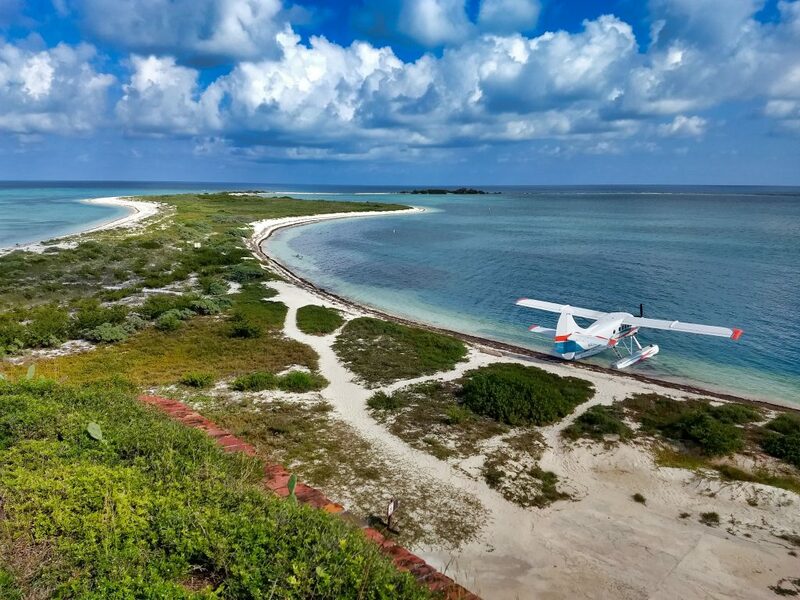 A late afternoon seaplane ride to the Dry Tortugas is as close as you’ll probably ever get to that deserted island fantasy. But unlike Gilligan and Mary Ann, you’ve got a seaplane to fly you home at the end of the day. What Happened to Your Dream Mr. Flagler?